Finally, I think I did it!! 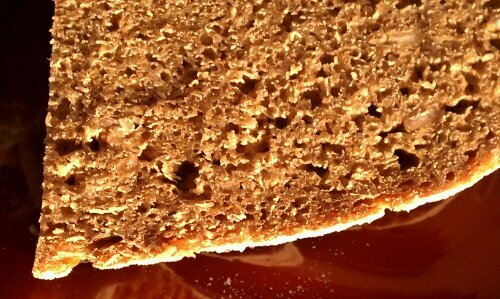 It only took about 5 or 6 tries, and me eating countless slices of extremely dense or otherwise unsatisfying 100% rye bread. Which, if I were a cat, would most likely be good for keeping my teeth tiptop clean. But anyhow, I think, finally, I can reveal the outcome of this process, and how fitting this would be my 100th blog post! But let’s start at the beginning of the story. For before I could get started making ‘Walliser Brot’ I had to tackle a couple of hurdles I did not expect. First, the flour here is different. After consulting with one of my friends from Switzerland who, as a baker, had done an exchange year in the USA, I realized that making Walliser Brot (a traditional rye bread from the canton of Valais/Wallis is Switzerland) would be a tad more involved than expected, but that has never stopped me before, and was surely not going to hold me back now that I was craving that particular bread. 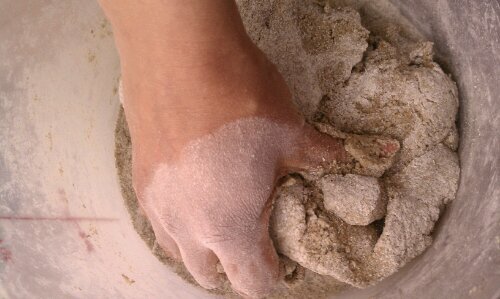 So the flour situation I knew was going to be some trial and error, to determine what would work as a substitute. 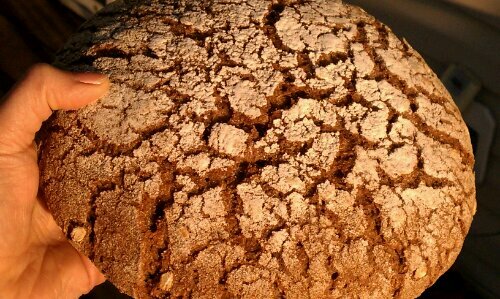 But the second part of the puzzle, (or actually the first, since without it, I could not even start the trial process) involved the bread not being made with yeast, but a traditional rye sourdough as a starter. 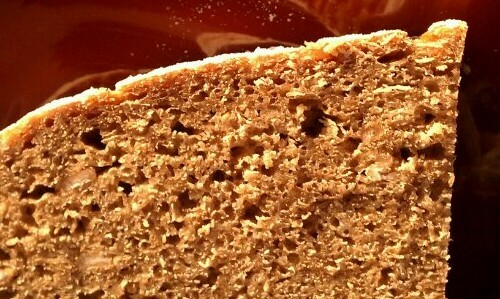 To read more on that and learn how to make your very own rye sourdough starter, read my previous post. Here is a picture once I finally got it to turn out just right. Traditionally the oven in the village would only be fired up 2-3 times a year (!!!) and each family got their turn in using it. 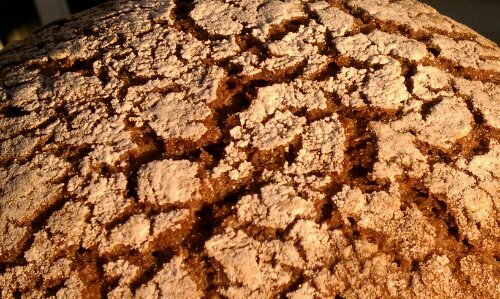 Follows that the bread would have been hard as a rock after a while, but it also must have kept quite well. There are stories of people using an axe to get a piece of bread cut! It would then be soaked in hot milk until soft and could still be eaten. 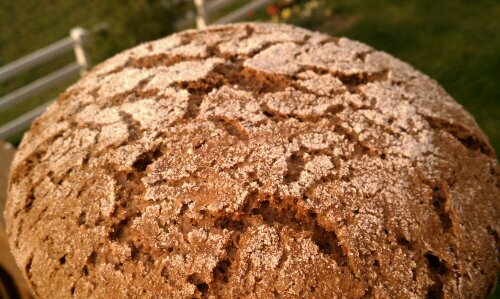 Here a link for the curious (in German) about Walliser Roggenbrot (Rye Bread) and its history. 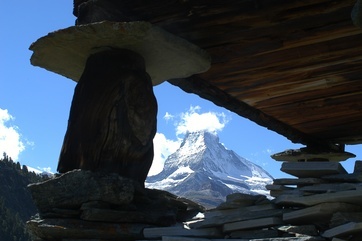 A ‘Stadel’ in this region of Switzerland would be built on stilts, which allowed the people to build on very uneven terrain, and would have a large stone plate (I have often seen them built: stilt, stone, stilt) to prevent mice and other rodents from getting into the grain stored for food. Smart move, given that back in the day, you could not just go and buy more if it went bad and you had to make it through a year before being able to harvest more. But let’s get to the recipe! In a large bowl mix the sourdough starter with 3/4 cups warm water, add 3 cups of rye flour, salt and mix until incorporated. Depending on the wetness of your sourdough (the one I maintain is 100% hydration and therefore, quite wet) At this point the dough will be fairly moist and sticky so stirring with a spoon is a good option. If it seems dry, add another 1/4 cup water. Cover and let rest and rise in a warm spot until doubled in size. This will take anywhere from 3-6 hours, depending on how active your sourdough is and the ambient temperature. If you run out of time, place in the fridge overnight, let come to room temperature before the next step. 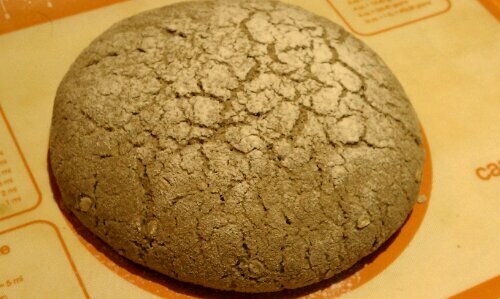 Turn off the heat and leave bread in the oven for an additional 20 minutes, then remove from oven, and place on a cooling rack. This bread would make my Swiss husband very happy. Do you know where I can get a good quality rye flour, whole foods ? I have a German neighbor in the states who just wrote me and said it took her about a week to make a German Schwartz Brot… Maybe she was doing the starter from scratch too. I don’t know if I’ll be motivated to make this since I’m in Hamburg- but I’ll definitely check back on it this summer when I’m missing it in the states! In step 4 for the second rise how long do you let the bread rise? I am almost ready to try this recipe. I’ve been feeding the starter and activating it. It should be ready soon. Step four depends a little on your sourdough starter as well as the temperature. 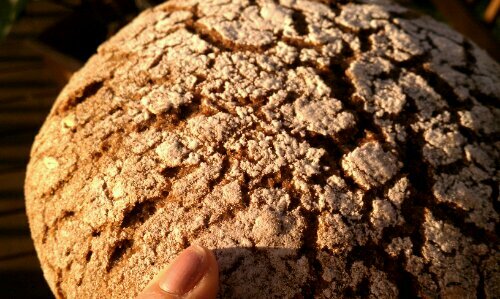 Since this is not a yeast bread but a sourdough ferment, every sourdough culture is slightly different and might be more or less active. When my starter is ‘well fed’ and ready to go, and it is not too cold in the house, this step takes about 1 to 1 1/2. Let me know if you have any other questions. Can’t wait to hear how it turned out and how you liked it! I am sure the bread could be reproduced with similar results using fresh or dry yeast, however to make it authentic, it would need to be made with sourdough (and starter). But if you are using a similar amount of yeast as for other breads, that should work (not been tested by me, but by all rules of cooking it should work just as well, flavor would be a bit different) Just remember that rye bread is going to be denser and slightly more sticky to work with than regular wheat bread. Please let me know how it turns out! 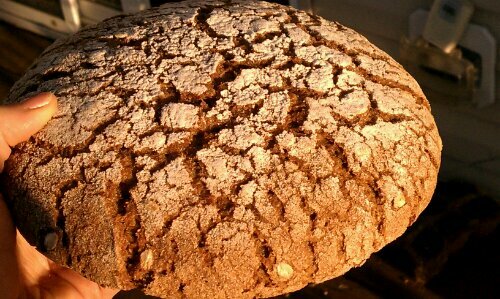 Hi, I came across your website when searching for an authentic Swiss rye sourdough bread recipie (even our local breadshop makes theirs with yeast). I wanted to make a loaf after reading Weston Price’s account of how the people in the Swiss Alp villages are healthy and strong living on raw milk and rye bread. I tried it and it turned out pretty good, considering it’s a first attempt. Thank you for doing the experimental part for us and then sharing the results; saves a lot of time (and flour) for the rest of us. I will be “tuning in” to see what other interesting things you are making! I just found your website, and I really like it. I lived in Switzerland 8 years, back in the late 60s and in the 70s. I had the privilege to go to Swiss schools, and I still have family over there. It is a second home to me. 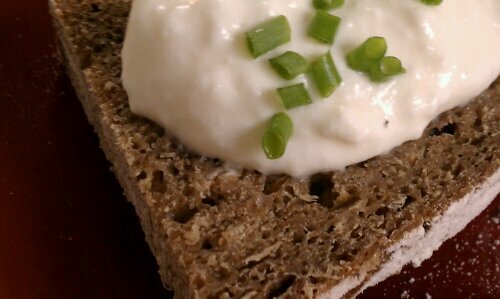 Your article on Walliser Brot brought back very fond memories. It one of the very many unique things I loved about Switzerland. I learned how to make cheese fondue and one of my fondue pots is one I brought with me from Switzerland, when I returned to the United States. I lived in Dietlikon, a village not too far from Zürich. After I left home I lived in downtown Zürich. I am glad I found your website. You mentioned that the flour was different here than it is in Switzerland. There are so many things that are different, like milk, mayonnaise, oatmeal and a lot more.